The modern F1 calendar, shall we say, divides opinion. But in this period after the summer break these days you will hardly find a murmur of protest on the subject. It feels a lot like an oasis. We've just been to Spa of course, and this weekend coming we'll be in Monza, the venue for the Italian Grand Prix. 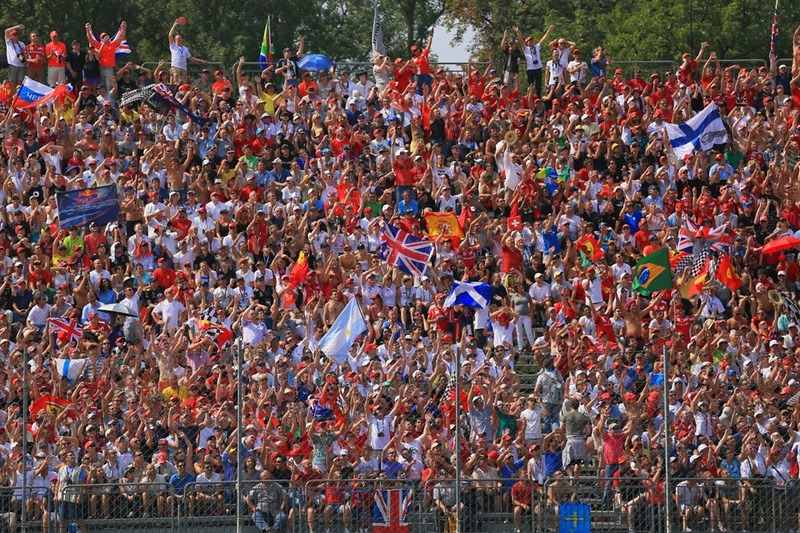 But even more than for Spa Monza's status as a revered, perhaps irreplaceable, presence in the sport is resolute. And was underlined by the reaction to Bernie's musing a few weeks back that the stop-off could be dropped. Incredulous was only the beginning of it. Also more so than Spa too the reasons for Monza's status might not be obvious to the uninitiated. The venue lacks the gleaming modernity of the more new-fangled ones. The place has never entirely shaken its vague feeling of ill-disguised mild chaos. Unlike Spa's its layout isn't all that much of a driving challenge, being as it made up essentially of straights separated by chicanes with only the Parabolica turn much of a discriminator. Also unlike Spa it hasn't always produced enthralling races in recent times. And the locals while unquestionable in their passion aren't necessarily universally welcoming (as Ayrton Senna might for one have told you). So what is it then about Monza? Well, you don't really have to ask. Its heritage is unparalleled: racing cars have been witnessed in combat around this Italian royal park going all the way back to 1922, and the layout, other than the addition of chicanes and the coming and going of a fearsome banking section, has for the most part remained untouched in that time. Only in one season, 1980, did Monza not feature on an F1 calendar. No other track, not even Monaco, can boast close to that level of ubiquity. It has been the scene of the most astonishing and gallant triumph, the most enthralling stipstreaming battle and breathtaking split second finishes, as well as the most horrific tragedy. All of the greats have passed through Monza's gates. Many drivers have been defined here; some have perished. The ghosts of the legends of the past who used to race before a rapt Monza public still seem tangible; the atmosphere of an Italian Grand Prix here always hangs heavy with a discernible sense of trepidation and mythology. It features a weighty reminder of how the sport used to be in the vast and haunting banking that still broods over the Monza track, having witnessed much but now is dormant, yellowing, being ever-so slowly overtaken by nature as the metal perimeter guardrail gently rusts. Monza has always been synonymous with speed, and remains so; even today it boasts the highest average of all. And for as long as F1 exists, indeed for as long as machines of speed race one and other, nothing quite like Monza will ever exist anywhere else. You've either got soul or you haven't. Monza has it. Spa and Monza come as a pair in terms of technical set-up too. Like the Belgian race, but even more so, an outlying low downforce spec is brought to the royal park, and this has the ability to shuffle the usual order. Ferrari for one tends to put more resource into this than most due to the political importance of a strong result at home, and this too may have aided what appeared a slightly more competitive showing last time out at Spa. Sometimes the odd smaller team also identifies Monza as a weekend to make hay and does similar. But once again Monza will be all about Mercedes, one way or another. And as you won't need me to point out there will likely be a bit of additional focus on the coexistence of pilots Nico and Lewis this weekend. Mercedes after the intra-team fankle in Spa has done a reasonable job of taking the froth out of the situation, though perhaps has made rod for its own back by warning of consequences of any future contact. In reality though it seems hard to believe that such a warning will make a difference to either Merc pilot when in battle (as well as it's hard to see what Merc could do if there is further contact), but what happens next will still be fascinating. Once again the win will likely be a private matter between Nico Rosberg and Lewis Hamilton. The Merc is good at everything, and the straightline speed requirements of Monza shouldn't present it with significant problems. As usual about the only threat comes from within. Perhaps amazingly, despite having a clear pace advantage everywhere the the last one-two finish for Merc was in Austria. five races ago. The last nice weekend free of rancour was way before even that, in Spain. In early May. How the Mercedes management would welcome another this time. Whether they get it remains to be seen. Merc's nervousness may not be helped either by the possibility of some of its challengers being a bit closer this time. Just as it did with Spa the Williams team a while ago identified this round in Monza as one that they could challenge the Mercs on, perhaps even beat them if all goes well. It didn't quite happen in Spa, in some part due to not making the best of a wet qualifying, but Monza in theory looks the better of the two for the FW36. 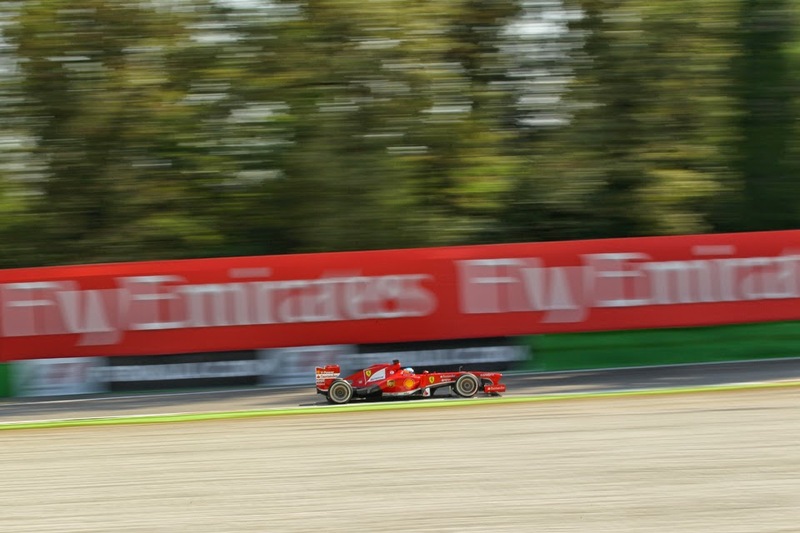 The Grove machine has topped the times through the speed traps habitually in recent weeks, and as intimated Monza is dominated by full throttle sections, making up a gluttonous 74% of the lap. Perhaps the Merc threat isn't confined merely to those with the same power unit either. Red Bull boss Christian Horner in some of his utterances essentially wrote the Bulls' chances off for the Spa-Monza leg of the season in advance but the Renault unit clearly has improved lately and the Red Bull didn't appear to be giving too much away on the straights in Belgium. While of course, every time the Merc collective has fumbled this year if has been Red Bull - and Daniel Ricciardo - that has cleaned up in its stead. Presumably this weekend he'll be similarly poised. As for the rest, Nico Hulkenberg may be worth watching. There is some evidence that he's a Monza specialist. Last year he did a brilliant job to qualify third and finish fifth having clung to the Alonso-Webber-Massa train throughout, while in 2010 he left Rubens Barrichello behind when they were Williams team mates (and Rubinho is a three-time winner at Monza). And of course this time he has the rocket of a Mercedes power unit behind him. Ferrari will be likely contenders somewhere around the top five at least for the reasons mentioned, and whether Kimi Raikkonen can continue his improved form shown in his de facto home patch two weeks ago will be another key consideration. When it comes to strategy Monza's race is probably the most one-dimensional on the calendar, with the possible expectation of Monaco's. Given the time lost of proceeding down Monza's lengthy full blast pit straight on the pit lane speed limiter, combined with the low tyre wear (and just like last year the hardest two tyre compounds are to be brought), means that simulations tend to have a two-stopper around 10 seconds slower than a one-stop here, which forces everyone's hand. Indeed, last year only the Caterhams of Charles Pic and Giedo van der Garde went for a pre-planned two-stopper. This means that strategy variation is rather constrained. As an example last season Ferrari sought to do something clever by leaving both of its cars out longer than usual before making their solitary halts, but it didn't really do anything for them. On the contrary it proved counter-productive. Nevertheless we all recall what Sergio Perez managed to do in 2012 having started outside of the top ten on the harder tyre, barrelling through the field in the latter part of the race. No doubt a few that don't make Q3 will try to replicate it this time. Why does F1 love a conspiracy theory? 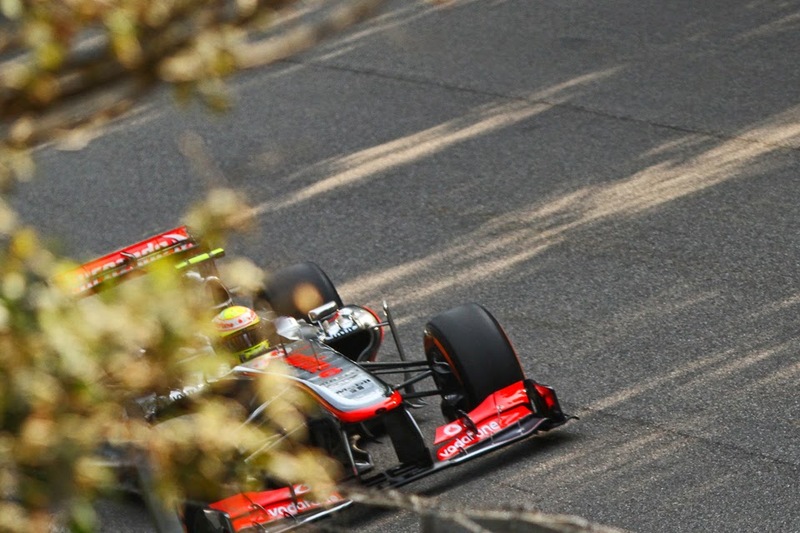 Italian GP Report: The day the story changed?